This is the Honda Civic EX. Honda Civic is an icon. Honda sells more than 325,000 Civics a year in the U.S., making it one of America's best-selling compacts. They are notable for offering excellent fuel economy and sporty handling. You can't go wrong buying a Honda Civic. They are reliable, practical, and fuel efficient. This Honda Civic is in good shape and looks good too. The Carfax report on this Civic shows 3 prior owners and 1 accident back in Feb 2012. That accident was frontal and did result in an airbag deployment. 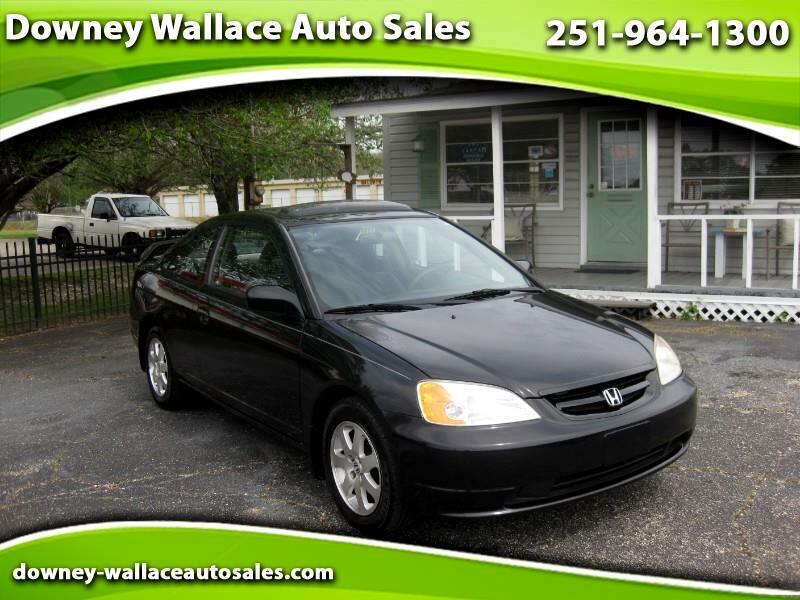 This car however was not totaled and does NOT have a salvage title. Matter of fact Carfax offers a Buyback Guarantee. They guarantee this Civic does not have a salvage or rebuilt title. If you ever find out otherwise they will buy the car from you. We can give you this Guarantee in writing. Also there is a recall for the airbag and that can be replaced for free at your local Honda dealer. If you need a good little dependable car that can keep running for a long long time then come on in and check this one out.